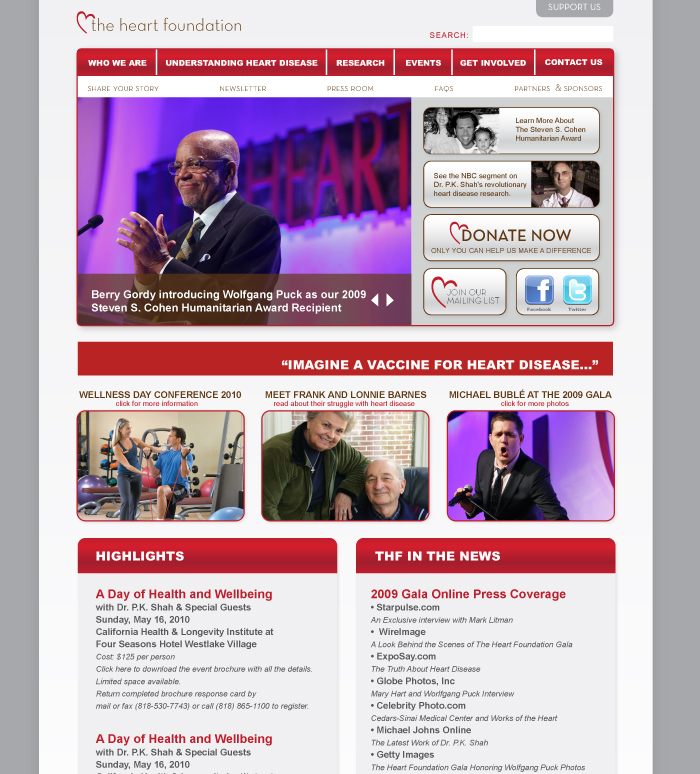 When The Heart Foundation wanted to spruce up their logo and create a custom website, they contacted us (at my old event design gig). Here is my concept – a fresher logo, younger colors, image-heavy, and concise. In the end, a different developer created their new site — in tandem with a different logo concept — but I’m very proud of the influence this piece had in the final product. To view The Heart Foundation’s current site and to learn more about their wonderful work, click here!